Dalat hotels and resorts tend to embrace their natural highland surroundings, showcasing beautiful vistas and decades-old colonial villas. There are several notable 5-star hotels and resorts in Dalat. Among the most integrated with nature is Ana Mandara Villas Dalat, consisting of spacious grounds featuring 17 colonial-era villas, lush gardens and one of the best spas in central Vietnam. It overlooks the colorful city of Dalat and offers guests the rare chance to sleep in rooms nearly identical to their 1920s and 1930s counterparts. Around Xuan Huong Lake, there is a concentration of upscale hotels offering excellent views of the water and its surroundings. 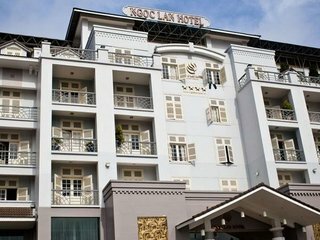 Located near the center of Dalat City is Ngoc Lan Hotel Dalat, which offers quality 4-star service and presents a sweeping panorama of the area. Tuyen Lam Lake is dominated by a good number of Sacom Resort’s 125 villas. The landmark doubling as a luxury hotel, Dalat Palace is a former French colonial hotspot with a fascinating past. The Palace features a French fine-dining restaurant, Rabelais, a golf course and an unprecedented location by many of Dalat City’s biggest attractions. 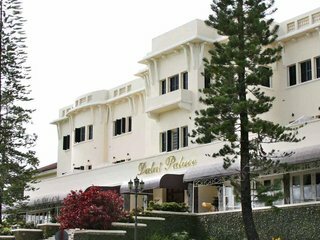 For a more modern offering, the Dalat Hotel Du Parc is across the street from Dalat Palace, and was originally built in 1932. There are also many budget options in town, but the affordable rates offered by the luxury venues make a lavish stay within economic reach for most travellers. The Dalat city center boasts a number of budget accommodations with affordable rates. 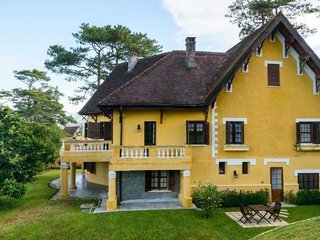 If you’re wondering where to stay in Dalat, consider your priorities: do you wish to be closer to nature and step into a slice of French colonial history? Then Dalat’s more upscale properties should be on your radar. Do you wish to focus solely on Dalat’s many attractions and activities? Then a budget hotel might do.